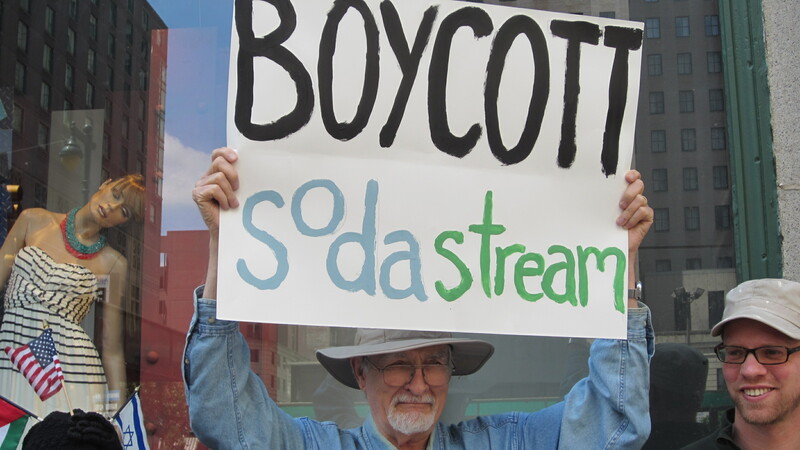 As yet another horrific Israeli military offensive escalates in Gaza, human rights activists advocating for Boycott, Divestment and Sanctions (BDS) of Israel stay the course. It is not only the Israeli airstrikes on Gaza that are killing Palestinians. The 18th annual Israeli Film Festival, which is being sponsored by the Consulate General of Israel, is currently screening films at the International House in Philadelphia. The film festival, which runs from March 8th until April 6th, claims to be a celebration of Israeli culture aimed at enriching the American vision of Israeli society. On March 9th, the festival screened Sharon—An Inner Journey from War to Peace. This film, which focuses on Ariel Sharon’s ostensible journey from a military man to a peacemaker, transforms the late leader into a likeable and relatable Israeli nationalist hero. 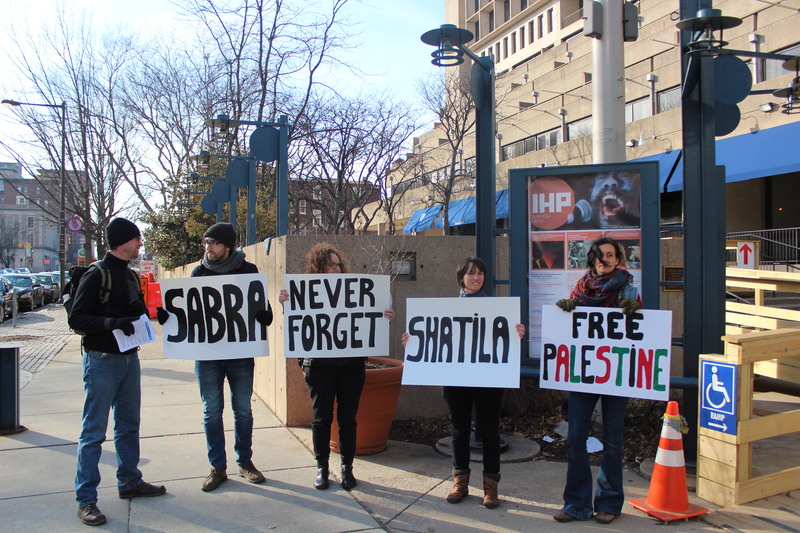 For many Palestinians, however, Sharon is remembered as a war criminal. 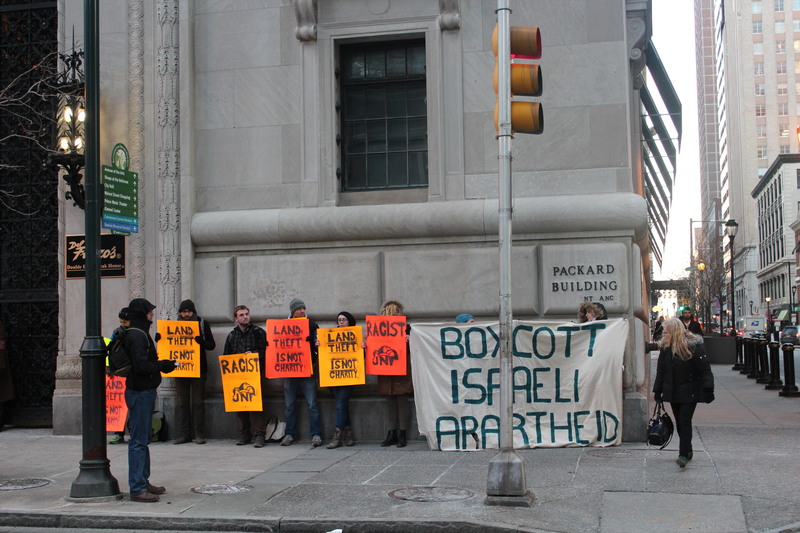 On Saturday, December 3rd, about a dozen members of Temple SJP, Philly BDS, JVP-Philly, and Christian-Jewish Allies Working for Justice in Palestine occupied the corner outside a Staples Office Supply Store in Center City Philadelphia, PA USA to boycott HP products, sold inside the store. After hand delivering a letter to the manager and having a brief conversation about our presence, we held the corner for about three hours. 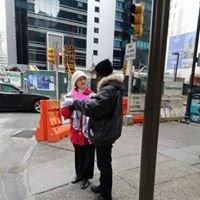 We handed out approximately 300 postcards, successfully engaging numerous receptive passers-by. 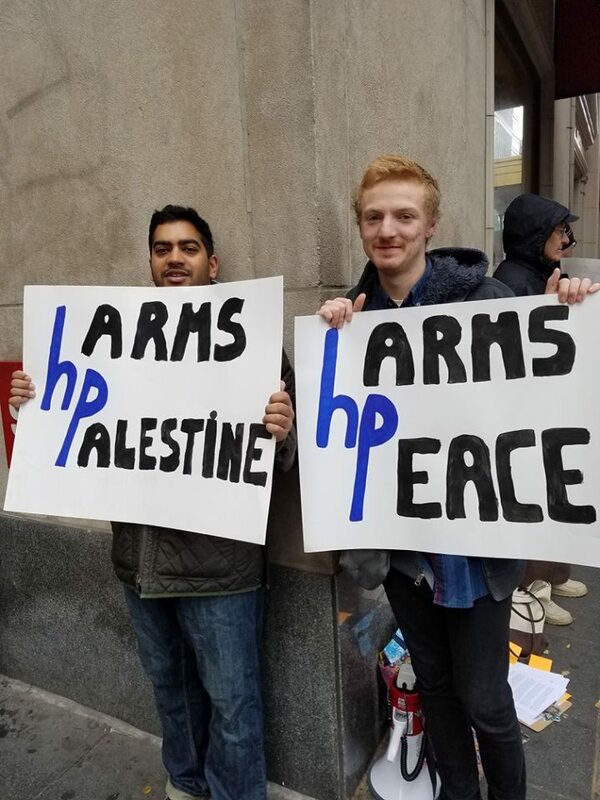 Many signed the petition to boycott HP. “Oh, I didn’t know!” was a common response. 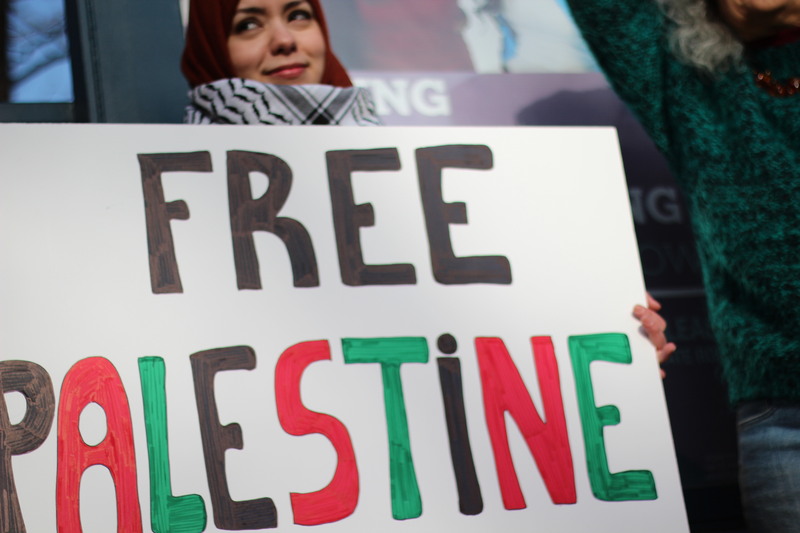 “I’ll take that, I have a Palestinian friend,” was another. Several interested people offered, “I will never buy another HP product!” A local Imam stopped to talk about the issue and promised to follow up with us. People took our photos, and promised to post our event to Facebook. A highlight of the demonstration was a man who identified himself as an employee of HPE and wanted to know all about what we were doing and why. He took our pictures, postcard, and press release, eager to pass them along to his employer. Maybe this exchange will catalyze a Polaroid moment. We can hope!